You guys. I have a dilemma. If you’ve been around here for any period of time, you might know that my weekend breakfast of choice is homemade buttermilk pancakes. I love pancakes so much that I’ve got them as an answer to a security question with one of my online billing accounts. When I go out for brunch I scan the restaurant’s menu for their version of pancakes, even if I don’t feel like ordering them. I could go on for hours about the best types of pancakes and debate the merits of box mix vs. scratch made. Homemade vs. restaurant. Restaurant vs. restaurant. So when I had a weekend guest a while back and knew I wanted to throw together breakfast for us in the morning, my mind immediately went to pancakes. However, this particular guest had already experienced my homemade pancakes and I didn’t want to repeat myself too quickly. So what’s the next best thing to pancakes? Waffles. After all, they’re pretty much just pancakes with built in syrup receptacles. And these waffles are a lot like the pancakes that I’ve been making for years so it was like second nature to throw them together. I wanted to give them a little something extra and was feeling all sorts of fall that weekend so I peeled and diced up a couple apples and stirred them into the batter along with cinnamon and nutmeg. I actually might make another batch of these this weekend. I went apple picking last week and the local apples I have are amazing. 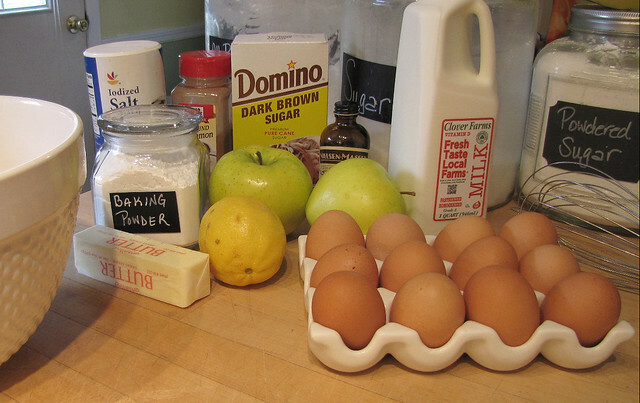 The necessities: Milk, flour, eggs, brown sugar, salt, baking powder, butter, vanilla, cinnamon, fresh ground nutmeg, two apples, juice of a lemon. Peel and chop the apples into small dice. Toss with lemon juice to avoid browning. Forgive me, but I don’t remember what kind of apples these were, but really almost any variety will work. Something tart yet sweet and not super crisp will do very nicely. Sift together the dry ingredients and set aside. Separate eggs. Whisk whites until stiff and stir yolks together with brown sugar and vanilla. Melt butter in microwave, and measure out milk. Whisk together butter and egg yolk/brown sugar mixture, and stir into the dry ingredients along with the milk. Whisk until mixture just comes together. It will still be lumpy. Add egg whites to mixture and fold together gently. Add chopped apples and stir until combined. Pre-heat waffle iron and brush with more melted butter (or spray with cooking spray). Pour batter onto waffle iron (I used a little less than a cup worth of batter for my iron, and it was a tad too much as you’ll see). Close iron and allow to cook for 4-5 minutes, until waffle is at desired doneness. I think this was only the third or fourth time I’ve actually used my waffle iron, so I had some trial and error here. But they still came out pretty damn good. Serve with some more butter (if desired), and your choice of syrup. So good. Crispy on the outside, tender and just a little moist on the inside, with a nice sweet/tart/slight crunch from the apple, and great spice. They’re perfect for a lazy fall morning. Another bonus? These freeze beautifully. 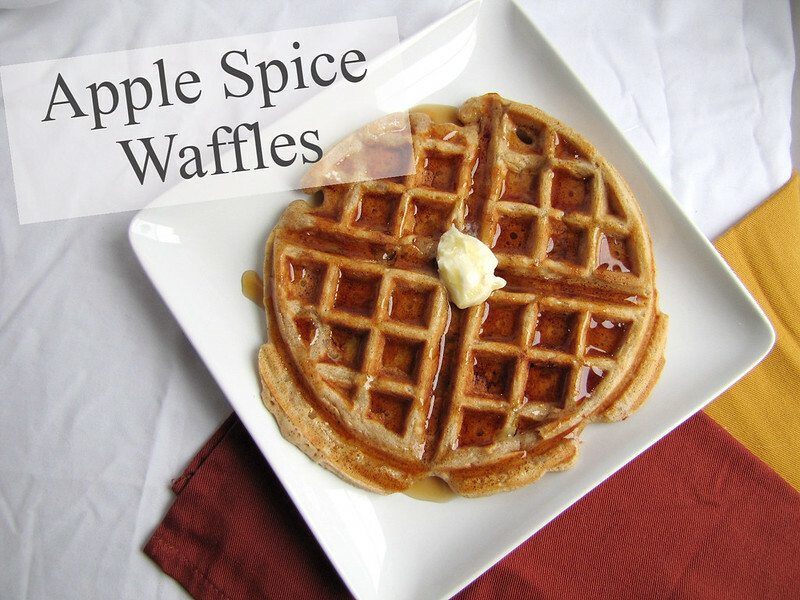 Make a double batch and save some for a busy weekday morning – just throw them in the toaster! 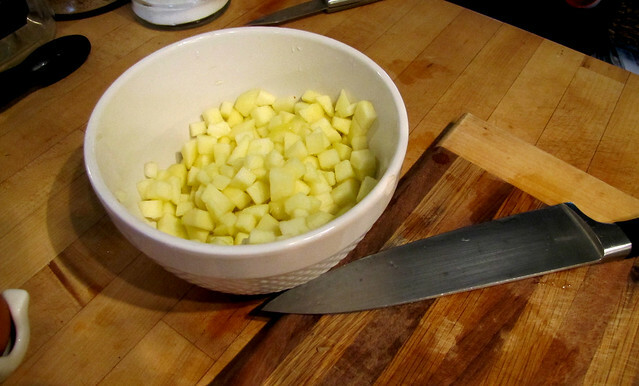 Peel and chop apples into small dice. Toss in a bowl with lemon juice and set aside. 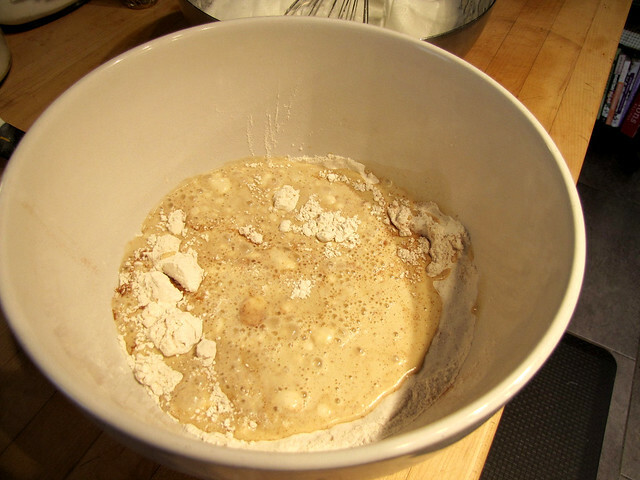 In a large mixing bowl, whisk together flour, baking powder, salt, cinnamon and nutmeg. Set aside. Mix egg yolk with brown sugar and vanilla, add melted butter and combine. 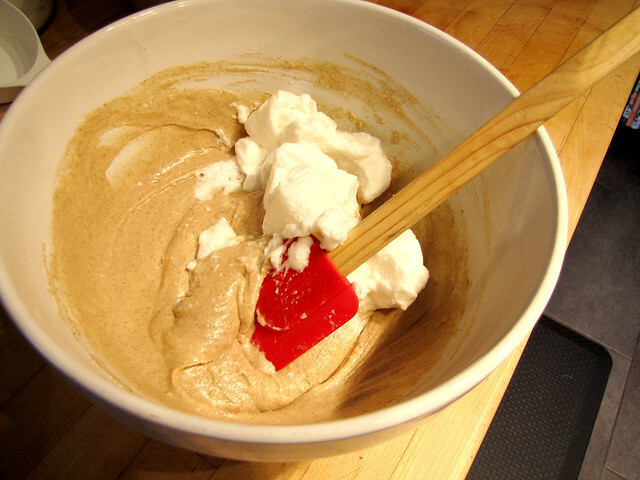 Whisk egg whites until stiff (can be done with a hand or stand mixer as well to save time and your arm). 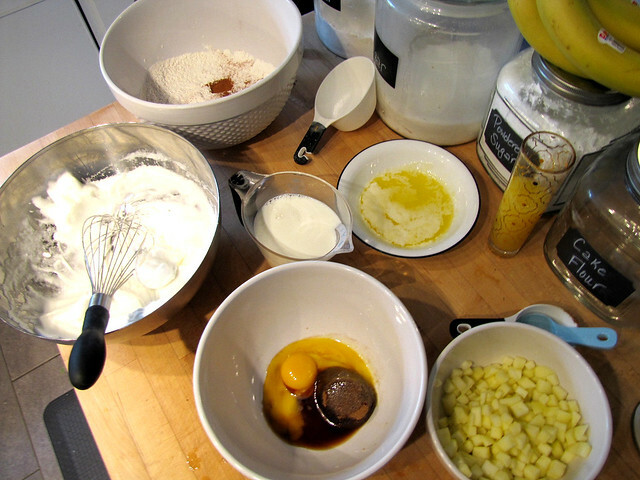 Mix dry ingredients with egg yolk, sugar and butter mixture. Stir together with milk until just combined – will still be lumpy. Gently fold in egg whites and stir into batter. 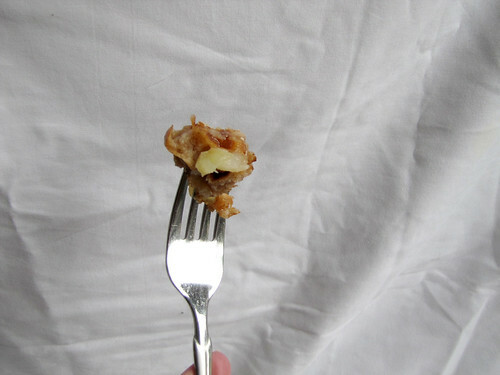 Fold in diced apples. Heat up waffle iron and brush with melted butter or spray with cooking spray. 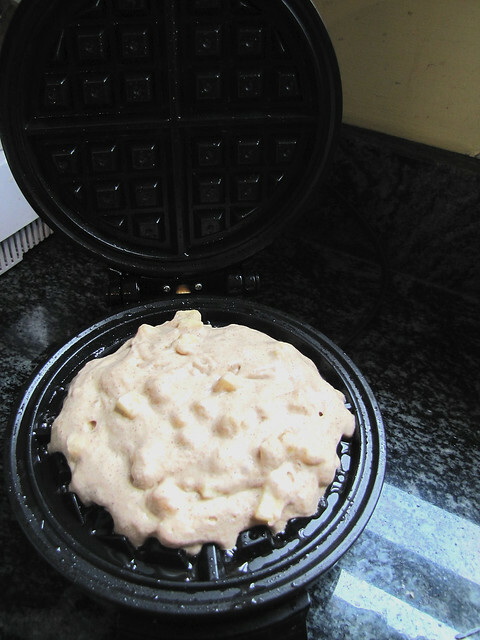 Pour batter onto waffle iron and close. Allow to cook for 3-5 minutes, until browned on the outside and cooked through. 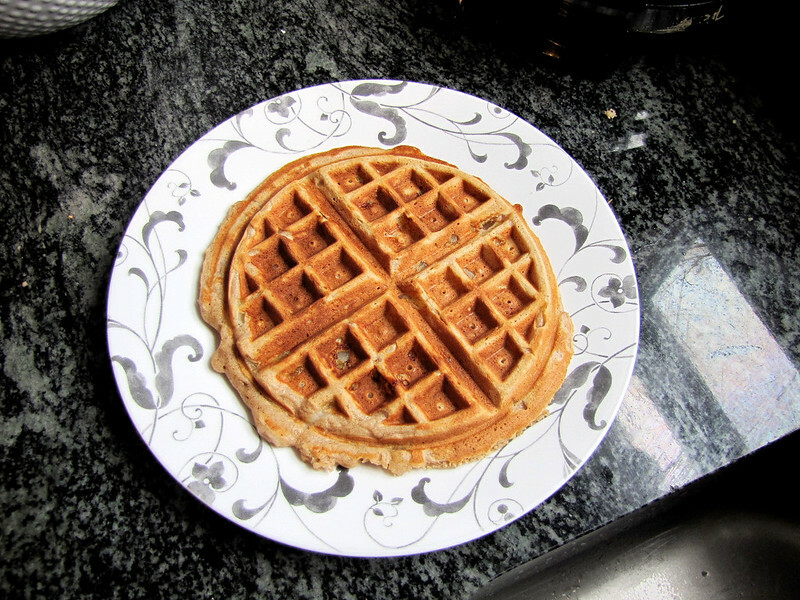 Try to avoid opening the waffle iron too much! 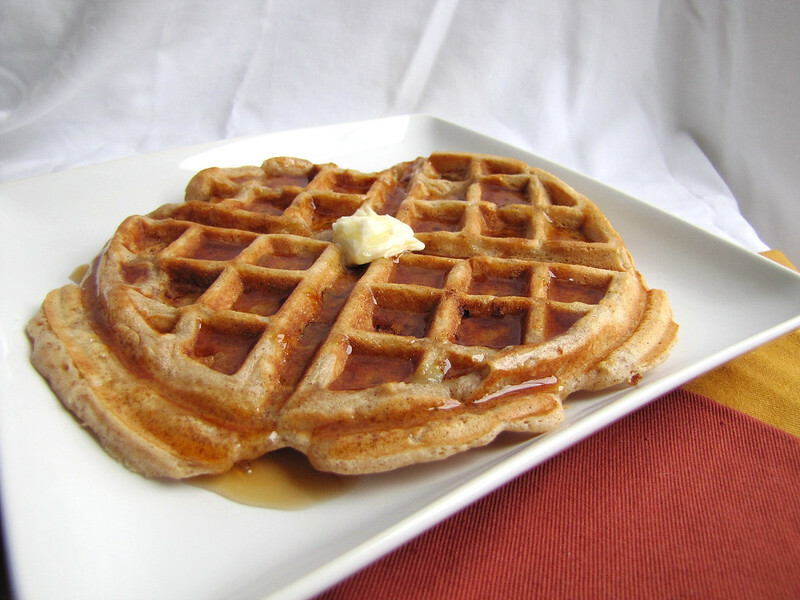 Serve waffles with butter and your choice of syrup. I wish I had waffle maker!